The Berzerker is built for an all-mountain rider looking for a responsive board capable of performance in all conditions. Slimewalls® - RIDE’s exclusive Slimewalls® are forgiving and ductile, absorbing impacts rather than defending against them. Just like your skate wheels, the urethane in Slimewalls® smoothes the interaction with the snow, wood or metal surfaces you may RIDE on. On top of all that, these babies are virtually indestructible, the most durable sidewalls in snowboarding. LSD Carbon Slimerods 2.0® - Feature a unique shape for the ladies as they taper in thickness to place more carbon closer to the inserts and less carbon towards the tip and/or tail. This enables ladies to pop with ease onto features and smaller transitions, but retain maximum ocntrol when needed on bigger kickers and in the pipe. Performance™ Core - High strength Aspen is combined with Bamboo and lightweight Paulownia wood to provide the perfect balance of strong and light. Hybrid Glass - Triaxial on top, biaxial on base, balanced torsion and stiffness for better response with speed. 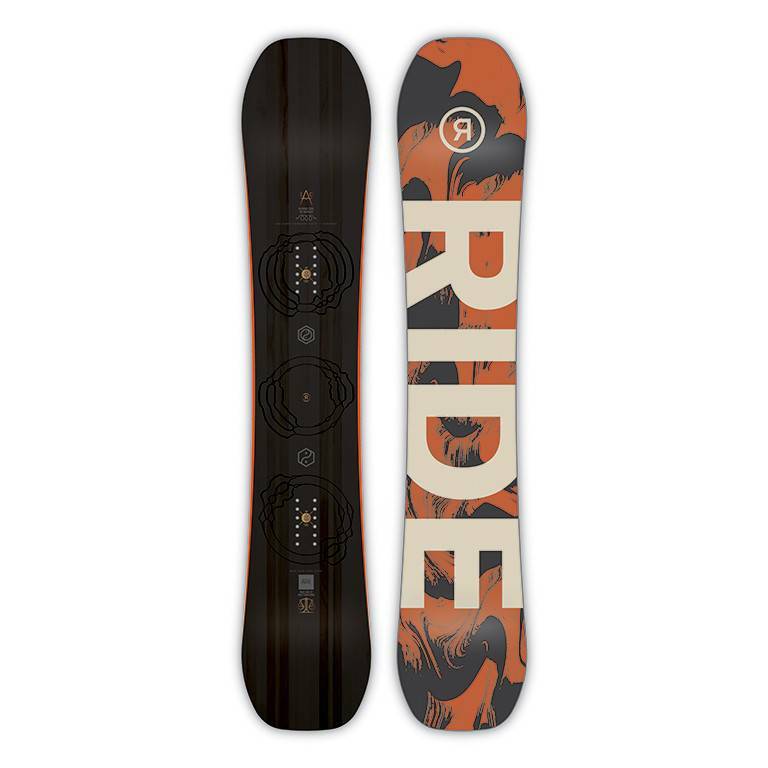 Standard Top Sheet - Durable topsheet with graphics only RIDE can bring you.